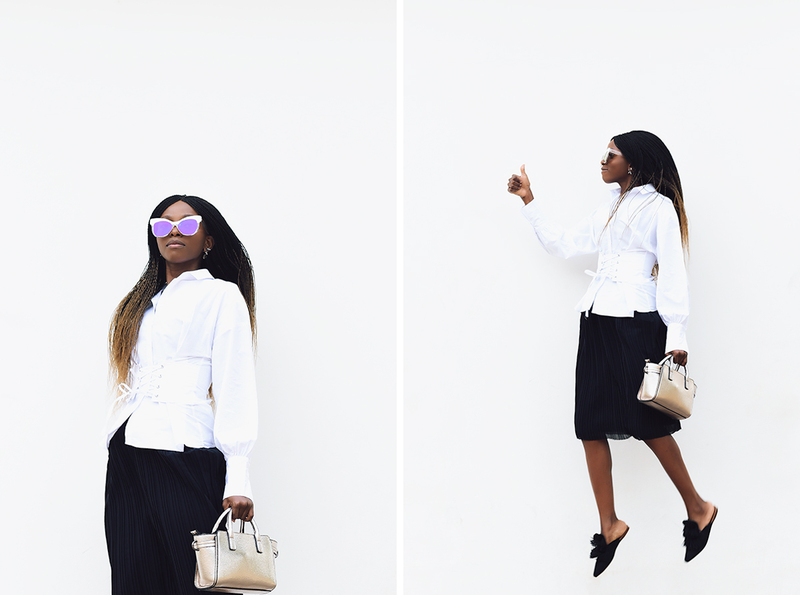 HOW TO: WEAR A CORSET SHIRT. | O. R. R. - Life & Style Journal. HOW TO: WEAR A CORSET SHIRT. Hello and welcome back to my little space on the internet! 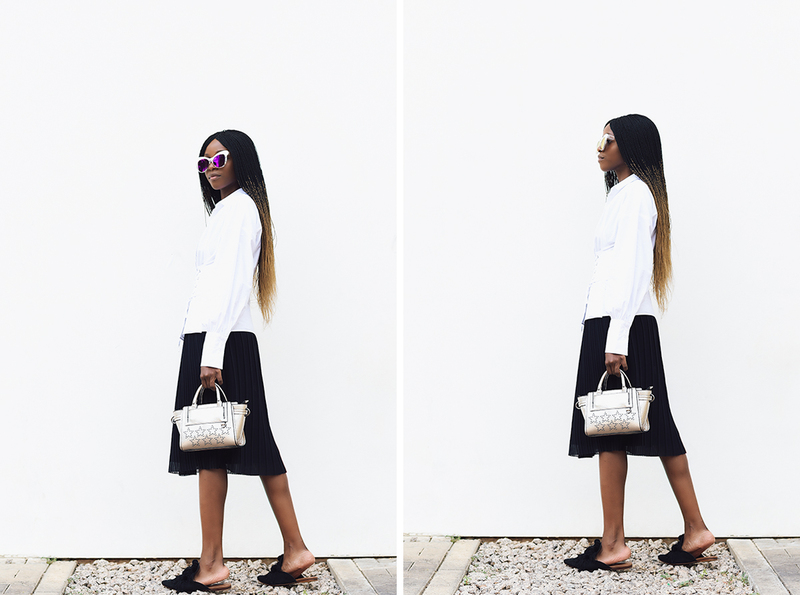 In this post, I’m styling one of the biggest trends this year. 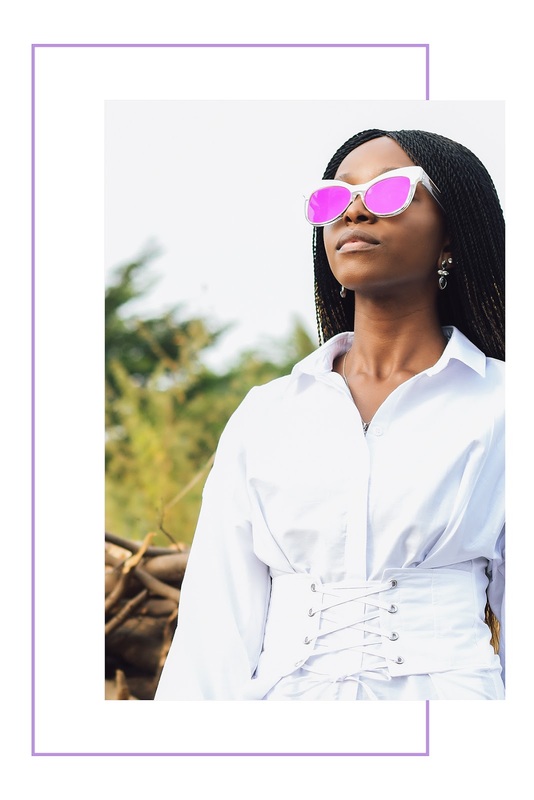 Clothing with corset and lace-up features have been quite a hit lately, both on style blogs and online clothing retail sites. I picked up the shirt above from the Topshop sale during the summer. I originally planned to style it with skinny jeans and chunky heeled sandals but to my dismay, the particular pair of jeans that I planned to use for this post didn't fit the way I expected them to! Wearing this shirt with boyfriend jeans and trainers was an option I also considered but I’m yet to own a pair. For me, finding jeans, especially skinny jeans that fit right is a stressful task. The few pairs I own with “fairly-okay fits” aren’t the best quality thus I’m looking to invest in better pairs. Rag & Bone, Wrangler and Levi's are all brands that I plan to try in the near future as I’ve heard only good things about them. I’ve got faith that my search for the perfect pairs of jeans will soon be over! Alternatively, you could style a corset shirt the way I did, with a midi skirt and a pair of mules. Midi skirts and dresses have been a favourite of mine recently. I find that they complement my height and body shape. Also, I’m a lot more comfortable and confident when wearing midis than I am in minis or maxis. The latter, I feel does nothing for my height. Mules are also a weird thing that I never thought I would like but can’t get enough of lately. At the moment, I’ve got this gold Michael Kors pair on my lust-list. Now, your turn. What do you think about this trend? Would you wear this outfit? What’s your favourite brand of jeans? Let me know in the comments section!